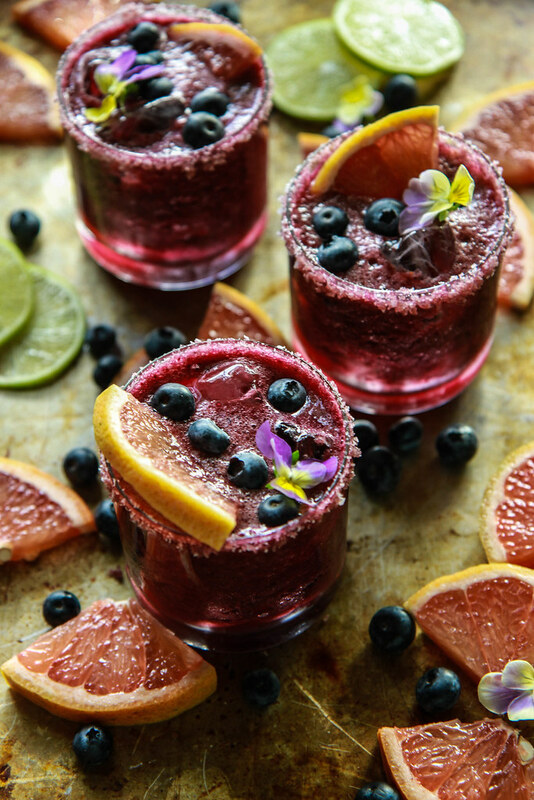 These gorgeous little cocktails are perfect for Spring boozing and I am definitely whipping up a massive match for our Easter festivities! 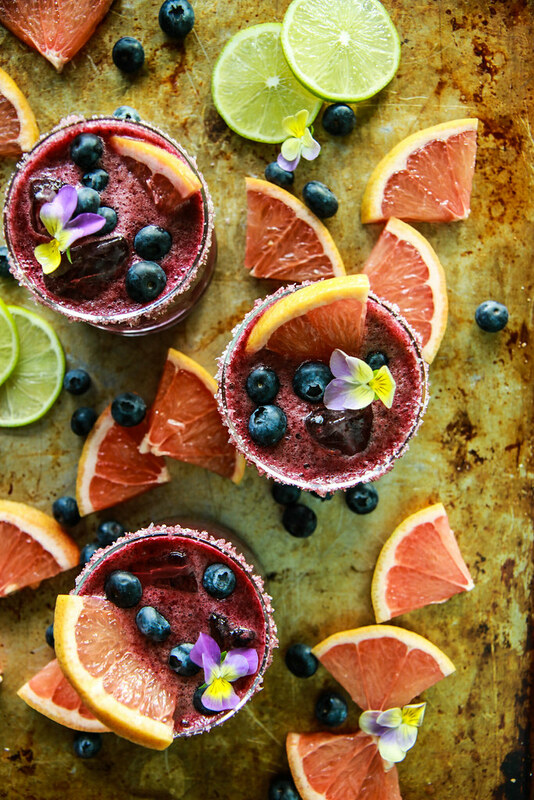 I love the Grapefruit Tequila combo of a paloma and this is just a little more complex in flavor with the addition of the blueberries and ginger. Plus, while there is the untraditional addition of sweet simple syrup- it is quite minimal in relation to the bitter grapefruit juice, sour lime juice and the tart spring blueberries, so it all winds up being just right! In a small pot, add the ginger slices, sugar and water. Bring to a simmer and let it simmer for about 5 minutes, stirring occasionally. Set the pot aside and let cool, at least 5 minutes. Remove the ginger slices and set the ginger syrup aside. Refrigerate up to 2 weeks. In the jar of a blender add 3 tablespoons of ginger simple syrup, the blueberries and the grapefruit juice. Puree on high until smooth and dark purple. Add the club soda and mix with a spoon. Add the lime juice and the tequila and stir. Pour in the blueberry-grapefruit-club soda mixture and gently stir. Garnish with little wedges of grapefruit and serve immediately. OMG super amazing drink! I love it! So refreshing! I need a glass or 3 of this drink this weekend!